Queenstown is on of the favourite places in New Zealand for tourists and locals alike. This is partly thanks to the stunning nature that surrounds the mountain town and partly because there is just so much to do! And where other New Zealand places die down in winter, Queenstown is still buzzing. Love the article? Pin it to pinterest! 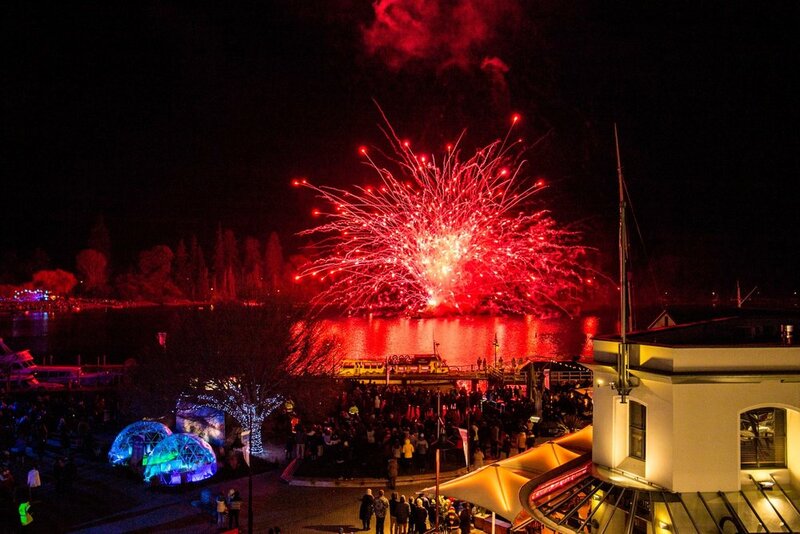 The best way to kick off the start of the winter season is surely at the Queenstown Winter Festival. Even if you’re not a skier or snowboarder, there are tons of events that adults and children alike can get involved in. The four-day programme has something for everyone. Get to the lakefront early to secure the best view of the hilarious birdman competition which sees punters dressed in their “flying costumes” hurl themselves off the wharf. Gather some confidence to join in on the undies beach run or the 1km fun run in the streets of Queenstown. Kids will love the local parade where you will always find a balloon and some sweets. Head up the mountain to see the dog sprints and the crazy luggage sled race. Those old school suitcases always seem to be the fastest. In those cool evenings, head back to the waterfront for live music in the square, fireworks and some smooth mulled wine for warm up your insides. The Queenstown Winter Festival every June is surely one of the coolest things to do in Queenstown in Winter. REal Journeys queenstown winter festival is spectacular! Many people are shocked to know that a small wine region only a 30 minutes’ drive from Queenstown is home to some of the best Pinot Noir in the world! That means that if you want to try this world-class New Zealand wine you’re going to have to venture out to this stunning region while in Queenstown. Getting to the wine region is easy as there are many wine tours from Queenstown that visit the best wineries. If a tour doesn’t suit your travel style then you can also get the bus provided by the Gibbston Valley Winery – the regions first and most respected winery. The bus costs $35 and includes a ride there and back and a wine tasting. At the Gibbston Valley Winery, you can also try an assortment of homemade cheeses and explore New Zealand’s largest wine cave! The story behind how the region came to be as just as interesting as the wines, but you’ll have to explore it yourself to find out! A tour or trip out to the Gibbston Valley is a must do activity in Queenstown that is great all year round! Click here to book your Queenstown wine tasting! Milford Sound is one of New Zealand’s most popular tourist attractions. Its stunning landscape is so beautiful it has been called the “8th Wonder of the World” by many who visit. During a stay in Queenstown, venturing out to Milford Sound on a day trip is one of the best things to do in Queenstown in any season! 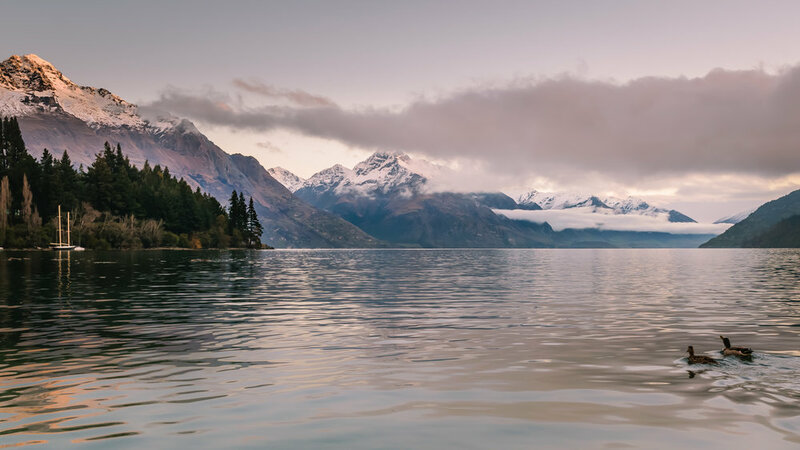 From Queenstown, there are several tour operators who do day trips to Milford that include a coach ride there, boat cruise in Milford, and a coach ride back. The tours run for almost 12 hours as they must make the long and windy 4-hour drive each way. But the drive isn’t all bad news and along the way you will stop at several stunning places and take in scenery like you have never seen! In the winter, you will be rewarded with views of snow-covered mountains! 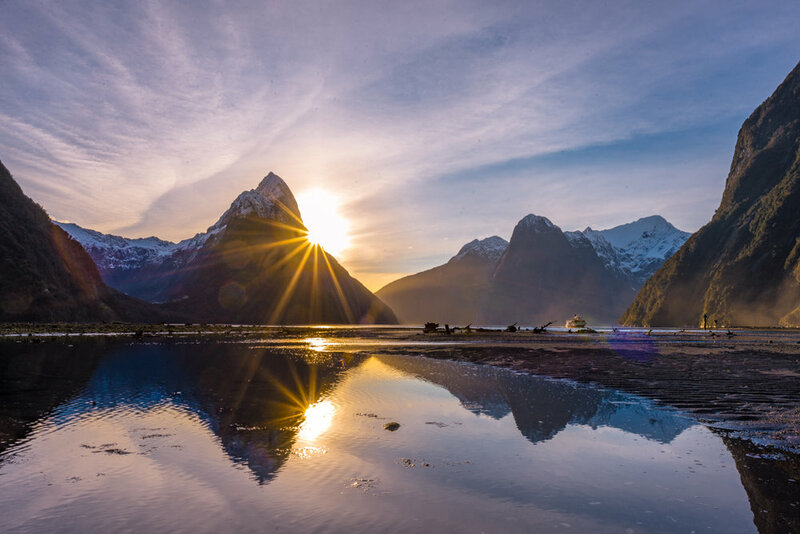 If getting to Milford on a bus doesn’t sound ideal for you then there are a couple of other options for how you can get to Milford Sound from Queenstown. You can rent a car and drive yourself which will allow you the freedom to stop wherever you want (just be sure to check the road conditions because in the winter it can get icy!) It is also possible to take a scenic flight from Queenstown to Milford and back again. This is much quicker than driving and offers an incredible view looking down on the snow-covered peaks. Regardless of how you decide to visit Milford, one thing is for sure: you’ll have an experience you simply can’t forget! There are so many awesome things you can do in Queenstown, New Zealand, but one thing you’ll be talking about for the rest of your life is Bungy jumping at the worlds very first commercial Bungy site. Kawarau Bridge is an awesome spot to have this exhilarating experience. It’s open all year round, so it’s a great activity to do in the winter...not to mention bucket list. The bridge and water below create the most beautiful scenery, and being up on that bridge looking down, is a feeling like no other. Kawarau Bridge is a unique Bungy jump, in that you can jump and actually touch, or dunk into the water. This part is optional, so no worries if you don’t want to, but there aren’t very many places where you can do that. Even if you’re not ready to take the leap, it’s a great spot to go and watch some of these adrenaline seekers check one off their bucket list. Whether you want to jump off the bridge or not, we think heading to the Kawarau Bridge is a fun one to add to your list! Click here for your adrenaline kick! Do you enjoy being outdoors? Do you like epic hikes? If you're in New Zealand, you need to check out the Ben Lomond hike from Queenstown. This is not the easiest of hikes, but it's totally worth it for the views you will see and it's a great way of keeping fit. #1 You can walk from Queenstown and do the Tikki-trail first, which is what we did. However, this makes the trek a lot more difficult. #2 This is the more popular option. You can begin the climb from the top of the Skyline cable car ride. This maybe your better option, however you will have to pay for the ride to the top. This climb does require a certain level of fitness to complete, but you should know your own capabilities when looking at the Ben Lomond hike. However, if you do choose to make the 3-4 hour hike to the summit of Ben Lomond, you will be rewarded with amazing views at the top. You can see Mount Earnslaw in the distance on a sunny day and the Queenstown centre. This really is an epic hike. Of all the incredible things we did during our two weeks in New Zealand, my favorite was our unforgettable experience on an overnight wilderness cruise of Doubtful Sound. Doubtful Sound is the less traveled cousin of the more heavily visited Milford Sound in Fiordland National park on the west coast of New Zealand’s South Island. It makes a great side trip from Queenstown, either via a two-hour drive to Manapouri, the meeting point for Real Journeys, the tour operator, or via bus. (You can arrange a pick-up in Queenstown if you’d prefer not to drive). Getting to remote Doubtful Sound required first a 50 minute boat ride, followed by a bus ride up a steep grade on Wilmot Pass through old growth forest. After that, we spent an incredible overnight on the boat eating excellent meals, swimming in a fiord, and kayaking through glassy water. A naturalist on board pointed out penguins, kea birds, and explained all about this wild and unique area. 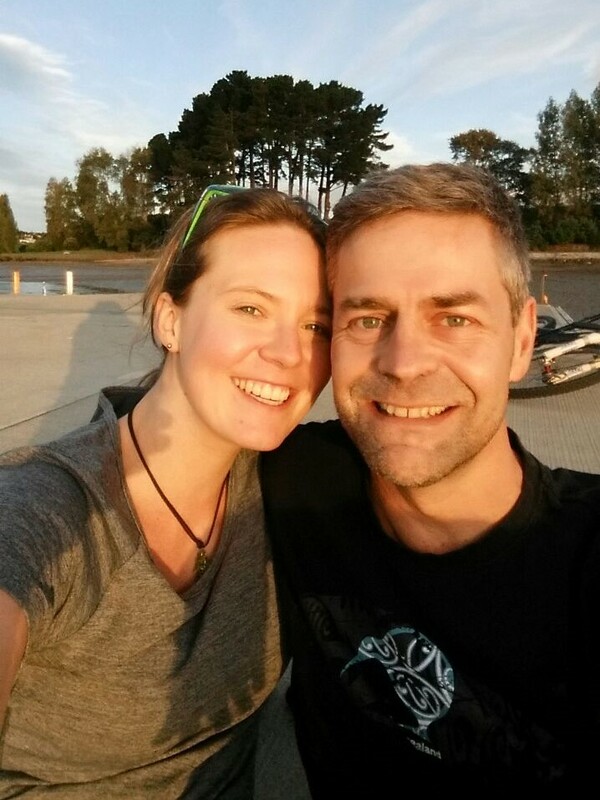 All in all, Doubtful Sound overnight cruise was a memorable and magical adventure. Click here to book this stunning Doubtful Sound experience! What’s better than taking a walk along the lakeside of one of the most beautiful towns in the world, with snow-capped mountains as your backdrop? Queenstown is located right by Lake Wakatipu, one of the cleanest lakes by a town I’ve ever come across. Queenstown Gardens is a botanical garden located just right across the lake from the town area, hosting a variety of exotic and native floras. It’s within walkable distance and has no closing hours. That means you’ll be able to visit any time of the day. The garden is accessible for everyone, with well-paved walkway circulating the huge compound. Queenstown Gardens is also an excellent choice for a picnic if you’re planning to have one. The facilities there are very well-maintained, so are the signs and information boards. The best time to visit Queenstown Garden is at sunset, where the sky turns purple, and the ducks swimming by the beach. A perfect time to take a sunset photo before refreshing yourself for the night after an exhausting day in Queenstown. Queenstown is a bustling hotspot of outdoor adrenaline activities but sometimes you need to take a break from the fun but hectic pace! Take a trip to pretty Arrowtown which is a short, picturesque twenty-minute drive or bus journey from Queenstown. Charming Arrowtown is a historic, quaint town originally settled by miners after gold was discovered in the Arrow River in the 1860s. Today, there are several places in the well-preserved town to hire gold panning equipment which costs just a few dollars to hire. We got our equipment from the interesting Lakes District Museum (they also showed us how to use it)! A short walk from the town centre brings you to the scenic Arrow River. It is easy to find a quiet spot and spend a few relaxing hours gold panning on the edge of the clear river. It is a peaceful, cheap activity in beautiful surroundings! We spent several hours here gold panning with our children. They loved it and it was a calming break from Queenstown. Unfortunately, we did not find our fortune - maybe next time! One of the most obvious things to do in Queenstown in winter is skiing! There are four Queenstown skifields that are open for business from the beginning of June to approximately October, depending on snow conditions. The most famous one of them is Cardrona, which has some really sweet slopes. It’s also part of the Queenstown Winter Festival. The other Queenstown ski resorts are the Remarkables, Coronet Peak and Treble Cone. All resorts are awesome for beginners and cater to every level right up to the professional riders. It’s important to know that none of those ski fields are accessible directly from Queenstown. The closest ski area to the town centre is Coronet Peak, while the furthest is Cardrona. But all ski fields offer several transfers per day from Queenstown, so you can leave your car behind and relax while the transfer gets you to the ski field of your choice. Once on the slopes and it’s a sunny day, you are treated to breath-taking views all the way down to the valley. If you do ski or snowboard, Queenstown skiing is an experience you just can’t miss if you’re visiting Queenstown in Winter! Now these were only some of the coolest things to do in Queenstown in winter. There is so much that’s you could easily get overwhelmed by the sheer choice. What do you think of our list? Is there something you think just HAS to be on here? And also, if you loved the article and / or think it helped you, please share it with all your friends and family. I’ll be forever grateful to you (and so will they hopefully).